I love making handmade Christmas ornaments for our tree! Whenever we decorated our Christmas tree growing up, my favorite ornaments were always the ones my parents had made when they were younger. So when I saw these cute little wood slice coasters at my local craft store, I knew they would be perfect as Christmas ornaments. I cut some words out of vinyl with my Silhouette Cameo, stuck them on the coasters, and look how cute these wood slice Christmas ornaments turned out! And I have an AMAZING giveaway for you today! 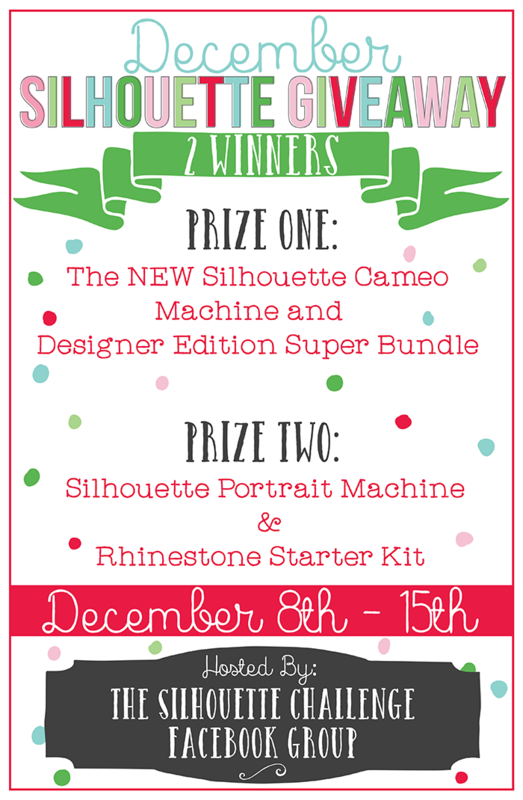 The Silhouette Challenge group is giving away both a Silhouette CAMEO and a Silhouette Portrait! Scroll down for the details after the tutorial! 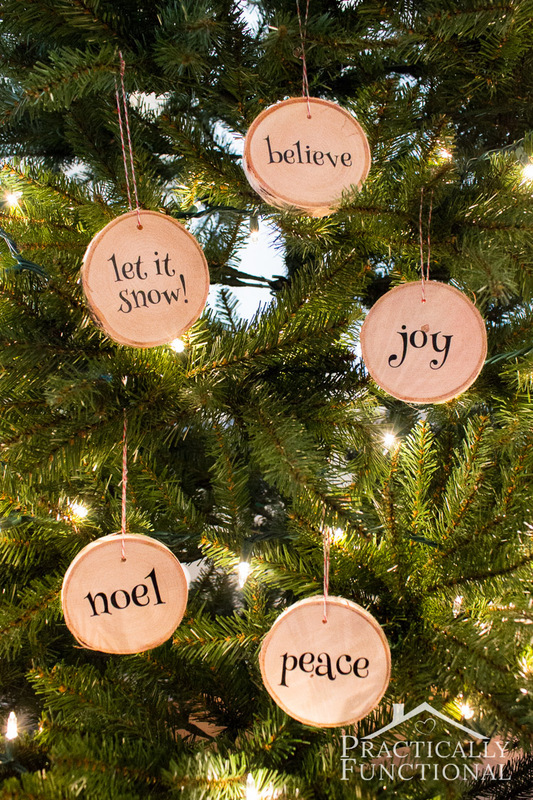 If you have a small tree branch laying around, you can slice that up and use it for these ornaments. If any trees have come down in your neighborhood, or if you cut down your own Christmas tree, these ornaments make a great keepsake! But if you don’t have tree branches to cut up, you can find wood slice coasters at your local craft store; they work great too! baker’s twine, string, yarn, ribbon, etc. Note: If you’re just getting started with adhesive vinyl, Silhouette has a vinyl starter kit that has everything you need to get started crafting with adhesive vinyl, including a hook tool and a sheet of black vinyl, which you need to do this project! 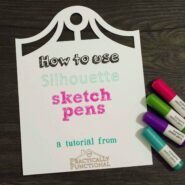 Start by cutting out your design with your Silhouette Cameo, or an X-acto knife if you have super steady hands. 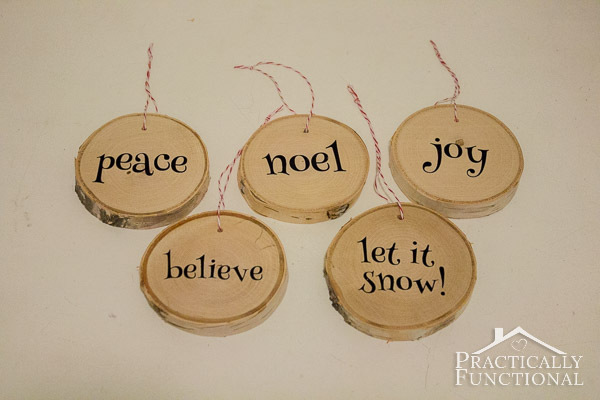 I chose to do words on my ornaments, but you could do a snowman, santa, reindeer, snowflake…you get the idea! 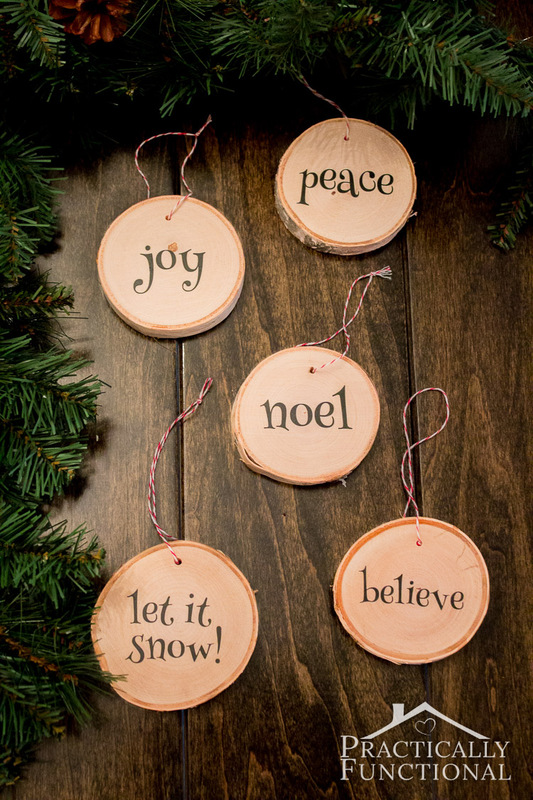 Peel away the background vinyl so that all you are left with is the word or design you want on your ornament. 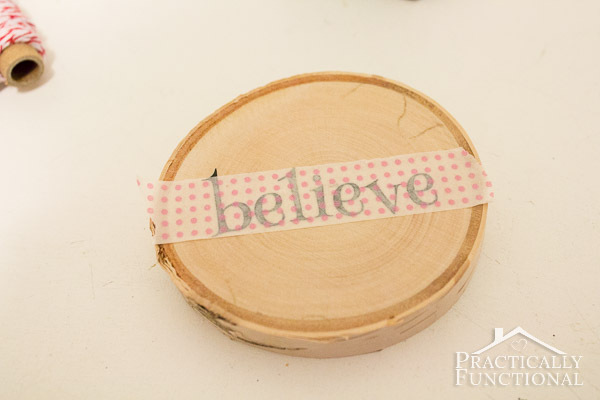 In order to transfer the word to the wood slice without messing up the spacing, you need transfer paper, or a piece of washi tape or painter’s tape. Place the transfer paper or tape over the design and press it on so that it sticks to the vinyl. Then carefully peel up the tape, making sure the vinyl comes up off the backing paper along with it. Then place the vinyl on your wood slice. Press the vinyl down well so that it sticks to the wood. Carefully peel up the tape, this time making sure the vinyl stays stuck to the wood. 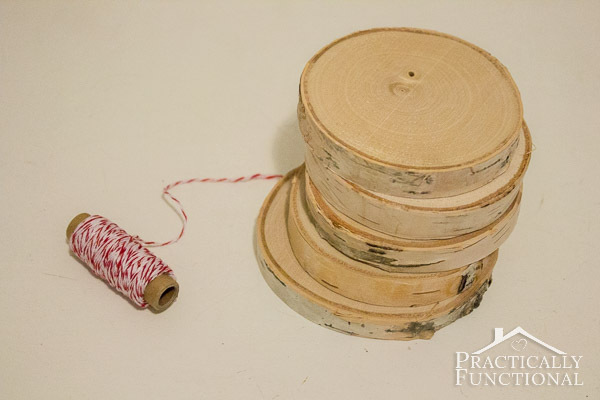 Then drill a hole near the top of the ornament, thread a piece of baker’s twine through the hole, and tie it into a loop. Then hang them on your tree and enjoy! P.S. If you loved this Christmas ornament tutorial, you’ll love my book 12 Easy Handmade Christmas Ornaments! It’s a collection of 12 easy-to-follow tutorials for handmade Christmas ornaments that are the perfect addition to any Christmas tree! No experience necessary; just follow the simple step-by-step directions, and check out the photos along with each step if you need additional guidance! It makes a great gift for the crafter in your life, or grab a copy today for yourself and get ready to craft this holiday season! This project is part of this month’s Silhouette Challenge! 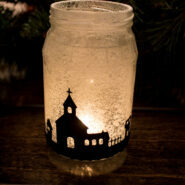 Want to see some other great holiday project ideas you can make using your Silhouette cutting machine? Check these out! My Silhouette Challenge buddies and I, in partnership with Silhouette America, are hosting a mega-huge giveaway for not one…but two winners! The prizes up for grabs? This giveaway runs from today through Monday, December 15th at 11:59p eastern and is open to anyone 18 years of age or older with a U.S. or Canada mailing address. You can read the rest of the terms and conditions in the widget below. « How To Make Party Poppers! 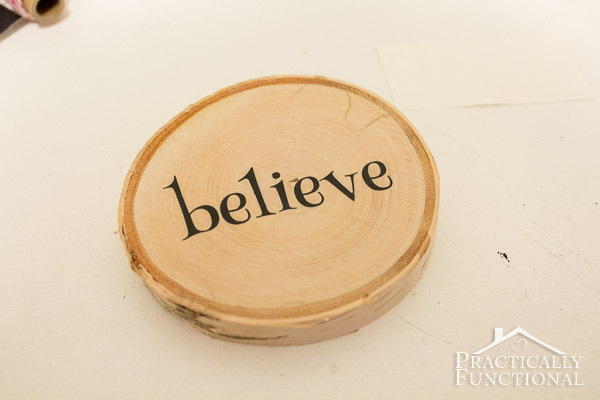 I need to get my hands on fabulous some wood slice coasters like these so I can churn out these ornaments. So festive! So rustic! So…me! 😉 So glad you joined us for our December Challenge and Giveaway, Jessi. Thanks for adding your creativity into the mix! Jess, These are very cute! I love the rustic look! Cute! 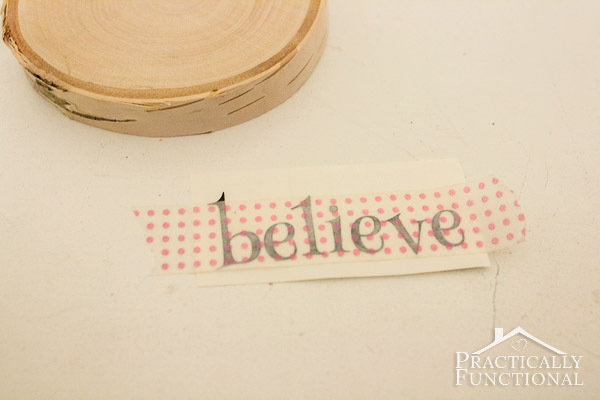 I love the font you picked and totally brilliant using washi tape! can you please share the font you used?